I recently had the opportunity to join a class at Painting With a Twist. 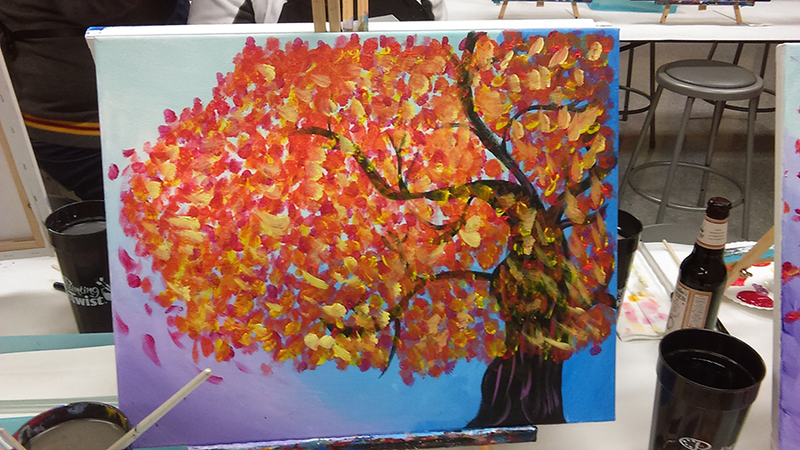 Let me tell you, this was by far THE BEST Wine and Canvas workshop that I’ve been to (if you aren’t familiar with these workshops I HIGHLY recommend them to anyone)! Now, I am an absolute novice when it comes to painting, but at the end of the class I felt like Van Gogh (metaphorically speaking of course)! So, when I brought the canvas home, I was so excited to find the perfect spot to hang it but something just didn’t seem right, it was almost naked on my wall. Something was missing on my beautiful canvas, but what? I used our sleek Build-A-Frame feature on Frameusa.com to upload an image of my piece and, voila! I found the perfect picture frame for my one of a kind canvas! 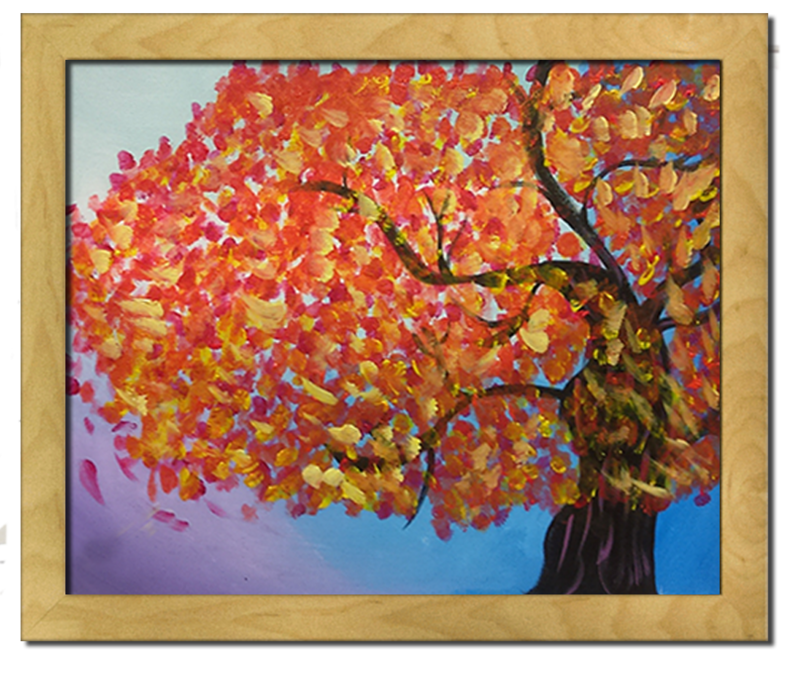 For those who have stretched canvases at home, and love to frame your pieces, here are some quick framing tips! Since the canvas is painted, this actaully seals the fabric and prevents deterioration of the fibers. So glazing is not a necessity when it comes to framing canvas. This will save you money rather than having to pay for a frame that comes with a bunch of materials that you don’t need. However, make sure that you have hardware to install the canvas on your own. Off set brackets can be found at any frame shop, or hardware store. Make sure you pay attention to the depth of the “rabbet” in comparison to the depth of your stretcher bars. For example, if your stretcher bar is ½ inch deep, the rabbet of the frame must be at least ½ deep. Otherwise the canvas will not be flush with the back of the frame. Make sure you have the appropriate hanging hardware for the size of your framed canvas. The biggest mistake a lot of people make is attempting to hang their canvas on too thin of wire, or anchors that are not compatible with the weight of the frame. This is very dangerous, not only for hanging a framed canvas, but for hanging any type of frame. If you are unsure of what type of hanging hardware to use, please ask a professional to assist. Also, if you’re one of those crafty people who like to step out of the norm when it comes to framing, another great frame option is our Floater Series! 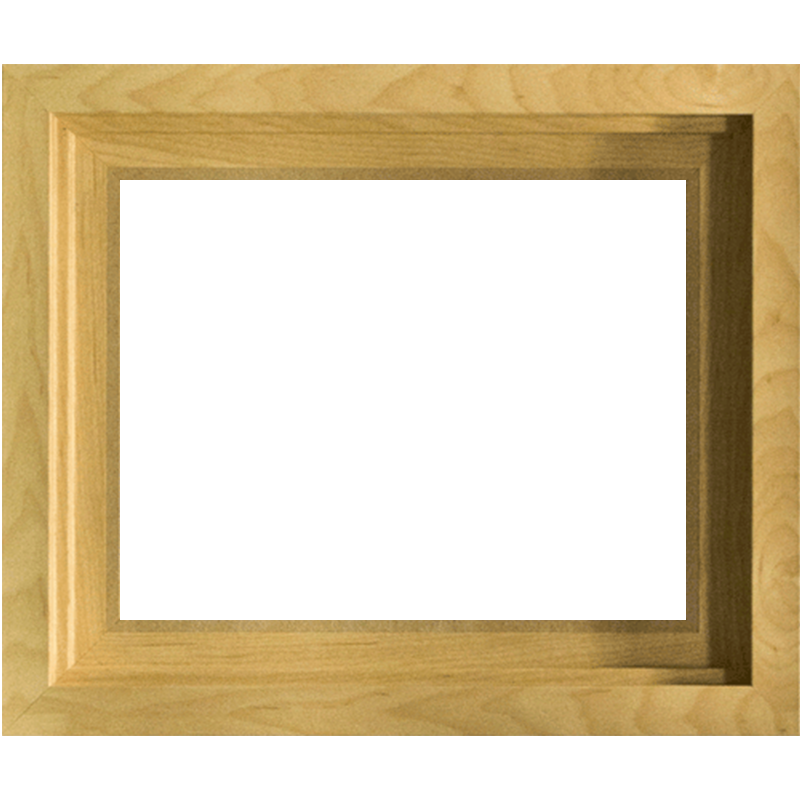 What makes this frames stand out from the others is that it is a front loading frame, making your canvas appear to be floating inside of the frame. It also has a ¾ deep “rabbet”, which is deep enough for most stretched canvases. I am so excited to get my canvas framed and hung on my wall! It will truly be a work of art! Sign up for our Email Newsletter to Receive Coupons and Sale Info! Shop Small on Etsy This Holiday Season!